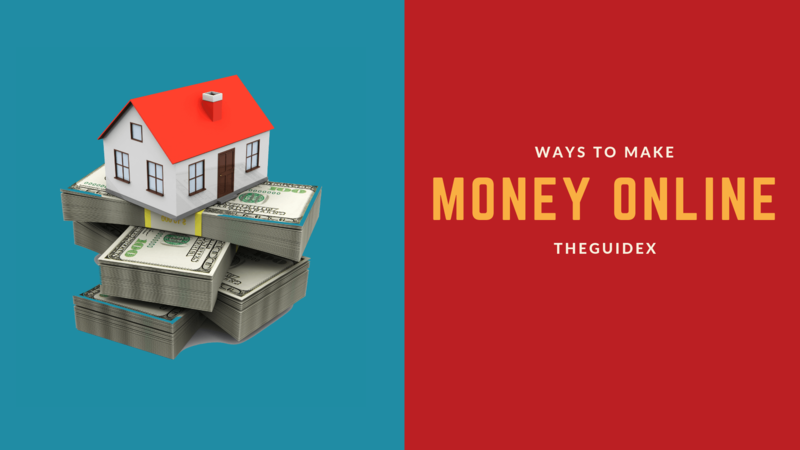 A lot of people wish to make money from the comfort of their home, but, that can only remain wishful thinking if there is no professional guidance on how to go about it. And while landing a work-from-home opportunity could be easy, being able to rake in reasonable income, say, every week or month, is another thing that depends on the type of work. This post explores some of the ways you can use to earn working from home, and still be able to make your ends meet. Having a plan is important. With it, you are not only going to measure success with ease, but also evaluate progress based on pitfalls and achievements. Understand why you want to work at home. Unless you are very sure that quitting a day job isn’t going to land you in a financial crisis, getting ready and set should be premised on a strong purpose. You may want to read stories of those who work from home themselves before getting started. Look for a mentor. You are not going to be the first or the last to work at home, thus, reinventing the wheel is not worth it. Learn from the experts, and find someone who can guide you on the way of earning a living without an office job. Once you wrap your hands around an opportunity, do not stop learning. The internet is a sea of confusing and conflicting information. Discovering the information you need can be a painful process but many online training courses help you save time and money by cutting the crap and showing you what you need to know. Courses like the ASM Amazing Selling Machine show aspiring entrepreneurs how they can build their own e-commerce business from scratch. If you thought data entry is all about reporting to a research institute every day and being away at the workplace for eight hours, then you’ve got to think again. The internet is changing the way people undertake some tasks without having to sit in an office all day. Being one of the well-paying gigs, independent workers seeking opportunities for making money at home should explore the bits and bytes of data entry before getting started. Once you land an opportunity on platforms such as Craigslist, ProBlogger Job board, and Upwork, you can start telecommuting as you earn on the go. All you need is a personal computer, and a reliable internet connection to get started. Since its advent, millions of property/homeowners have signed up with Airbnb, and it takes a few easy steps to become a super host. All you have to do is check out the travel agency’s official website, go to the host page and fill in the required details. Indicate the nature of your house, and whether you would like to let out a room or two, and start earning by hosting travelers. Soon enough, you will start raking incomes that could be worth hundreds of thousands of dollars simply by welcoming visitors into your home for a few days. While on-location travel agents still make decent money by helping others book flights, find accommodation places, and even act as tour guides, online travel websites have changed the narrative in many ways. Today, all you have to do is sign up with a site like Expedia and get started by following quick steps before you can start making money during your free time. You may have been a little hesitant to start a blog, but with so many ways on how to make money creating content for your own site, it is arguably one of the best ways of earning a living from working at home. Create and sell digital products on your blog. With a good following and a high conversion rate, you don’t need a physical shop to start making money. A website is enough to get you started. Google Adsense is another way in which you can earn from your blog. But, before you sign up for Adwords, check out the requirements to steer clear of policy violations. Sign up for Amazon associates, otherwise known as affiliate marketing, and start earning from successful product referral purchases using special link codes on your site. Anyone who visits your website, views products you host, clicks on links, gets to Amazon, and purchases anything to their liking. And you get a commission. We also shared a detailed guide on starting a blog here. 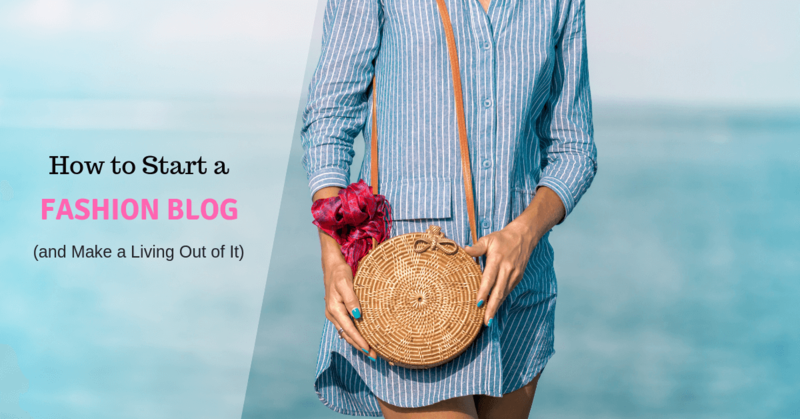 Check it out to learn more about starting a blog. This is another highest earning opportunity but its bit difficult online job for a beginner. Affiliate Marketing means becoming affiliated with any online advertiser and promote their product so that whenever someone makes free signup or purchases from the advertiser’s website, then he/she gets the commission. You will find hundreds of best affiliate programs where you can signup as an affiliate. You will even find the best affiliate networks where you can signup hundreds of affiliate programs from a single site. Millions of people from around the world are earning money from many top affiliate network like Amazon, Clickbank, CJ Affiliate by Conversant (formerly Commission Junction) or even thousands of popular sites with a direct affiliate program. It’s an Era of 2019, where you can even earn some huge gigs reviewing products and services. Whether it is a product or a service, sharing your opinion on platforms like Yelp will help you hit the ground running. You get paid from $50 and up to $1000 depending on the nature of the tasks you take. And when you combine this with the above ways of working at home, your income level can only keep soaring. Here at TheGuideX, I also earn around $149 or upto $299 for reviewing various products and services on my website. You can start your online reviewing website or a YouTube channel to start earning some gigs reviewing products. If you are a student who would wish to make a few bucks at home, you must have already used a quality essay writing service to do your assignments. The catch here creating an online service business isn’t going to cost you a fortune. You only need to pay a web designer; hosting fees and you are set. For a teacher, who wishes to work at home, tutoring students online would come as a handy option that keeps you indoors. Whether you are knowledgeable in SAT exam tips, physics, Biology or literature, it takes a few steps setting up a tutoring platform, and you will soon be charging a small fee teaching students who sign up for your online courses. Virtual jobs are everywhere these days, and personal assistants who work remotely (VAs) are a good example. If this sounds like something you would wish to do, then it takes a few easy steps to hit the ground running. You can start by finding such opportunities on freelance marketplaces or online classified job ads. The next step is researching on the things you will be doing after landing a virtual boss. Doing online research on behalf of a company or an employer. Checking and responding to emails. Data entry tasks and preparing marketing presentations. With more than 50 million Americans freelancing, there is no doubt about the fact that the gig economy keeps expanding. These numbers can only keep growing as more people continue to embrace independent working opportunities. It could be because you are stay-at-home mom taking care of a newborn, student on holiday in need of extra cash or you’ve just resigned from your day job. Freelance writing is one of the most lucrative work-at-home areas worth exploring for real income. It takes a few steps to get started with bidding for high paying freelance jobs. If you choose to sign up with content mills, all you have to do is create a profile that would attract potential clients by uploading relevant documents and portfolio. This, you can do on marketplaces such as Upwork, Freelancer.com, PeoplePerHour, 99Designs, guru or any other platforms of your choosing. However, for online writing beginners who wish to hit the ground running with direct gigs, the procedure for getting started could be slightly different. You will need to, first of all, create a website. This will be your strongest selling proposition when sending gigs or bidding on jobs. With your content ready and set, the next thing you should do is show what you can do by pasting a link to your website on when sending pitches for freelance jobs. It won’t be long before a well-paying gig hits your mailbox. As the internet continues to expand the realms of businesses, there is a need for consumer and market research. It is because more than 70% of America’s enterprises now operate online via social media accounts and websites. People are also busy looking for items worth their money, and there is no better way to give them a headstart than through conducting reliable product and service research. 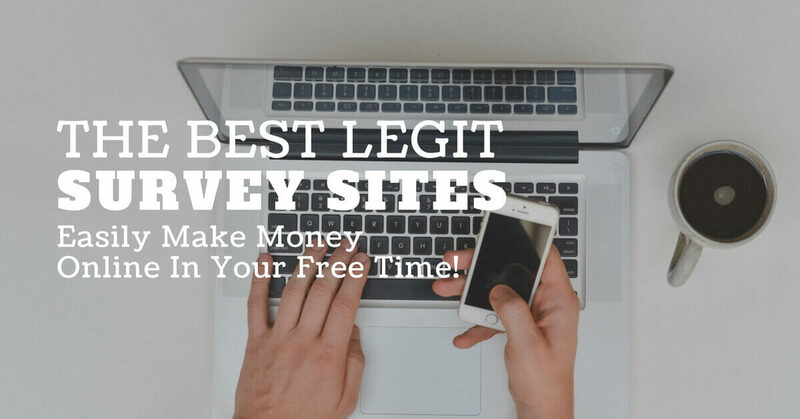 With these tips at the back of your mind, it goes that online survey is arguably one of the most popular ways of earning money working at home. But, you may want to ask. How do you get started? Well, by signing up with websites like Survey Monkey, Survey Jury, Swagbucks, Survey Junkie, American Consumer Opinion, Pinecone Research, and many others, you can earn up to $300+ in commission payments. Tasks involved are usually simple, and they could range from watching TV commercials, answering simple questions to recommending marketing tools that work. Payment can take the form of redeemable gift cards, shopping vouchers, or cash wired to your account or PayPal. All you have to do is to choose an option that works before you can get started. Click here to check out highest paying online surveys website here. You don’t always need a blog to set up an online business, albeit, it is an added advantage given the many ways through which you can earn from a website. With a Facebook page for your business or an Instagram account, anyone can make money selling merchandise. But first, it is essential to do decent research on a niche before getting started. You may want to sell eBooks, toys or clothes; a decision which should be premised strong conviction, and backed by research. Once you are set, upload pictures of your merchandise and start marketing them on social media platforms. The good news is that anyone is a potential buyer. Moreover, given that Facebook business pages have in-built page analytics, tracking sales, engagements and impressions will help you stay on track while making necessary improvements based on reports. A skill, if properly harnessed and channeled to the right course, can earn you a fortune. The most exciting thing about it is that you don’t have to step an inch out of your home to get started. Therefore, the first step toward getting started here is to ask a few questions. For example, do you have a talent or a skill that you can use to help other people? Are you able to teach someone on how to do something? Now, with all of the above, the next stage is to settle for something you are good at it. Whether it is cooking, yoga, embroidery, weaving or interior décor, making money from your skill right at home would be faster than finding job placement. Find a right place for fitness/yoga lessons or establish an outdoor/cooking area where you will train would-be students on how to do a variety of things, and earn small money from the fees they pay. There are millions of transcribers who are making money at home, and all it takes to get started it finding transcription jobs. You may want to take the same approach as finding freelance writing jobs, which is okay or seek clients through recommendations from friends who are already into it. But, while it is simple, it is imperative to find the best audio transcription courses or a mentor to help you get started, so you can soon hit the ground running working for very reliable clients. Once you acquire a laptop, all you need is a fast typing speed, and soon enough, raking up to $24/hr is only a matter of time, and how much effort you put into your craft. Although this is not very high paying online jobs BUT because this is simple & easiest work from home option, I have placed this at number 1 position. In this online work, you need to click & view the ads & get paid for clicking each & every ad. You can earn $200 to $400 or more if you work 15-30 minutes daily on legitimate PTC (get paid to click) sites. There are various other ways through which you can earn money online or offline. It all depends on your skills and hard work. You can even use your skills to create YouTube videos and make some bucks. There are a lot of ways to earn money than you think. Just implement your skills at the right things, and you’re all done! Very nice article. I like your writing style. I am also a blogger. I always admire you. You are my idol. This is really good one and very useful for me ,thanks for sharing and please do it more on it too..thanks again …..